This trek follows a substantial section of the GR 4, a long-distance path that starts in Grasse. 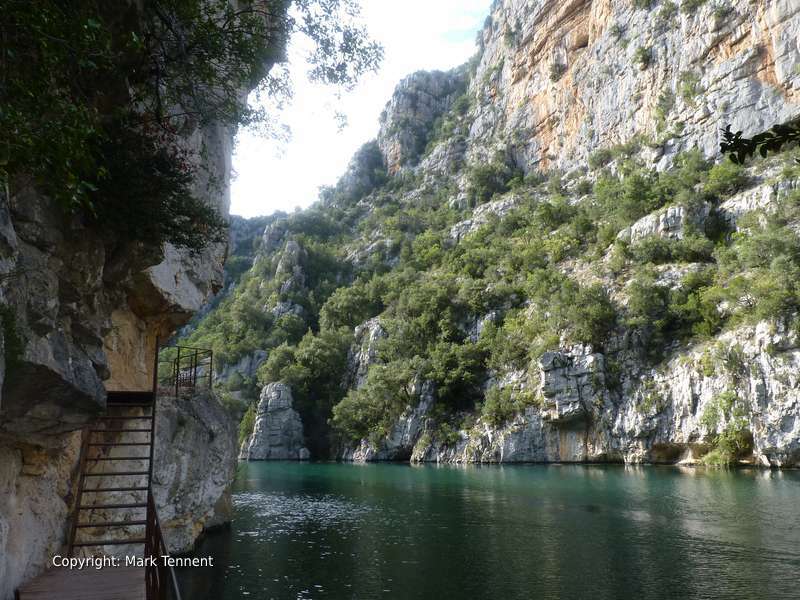 6 days trekking through the Alpes de la Haute Provence from Castellane to Manosque. Stunning views of the Verdon Gorge. 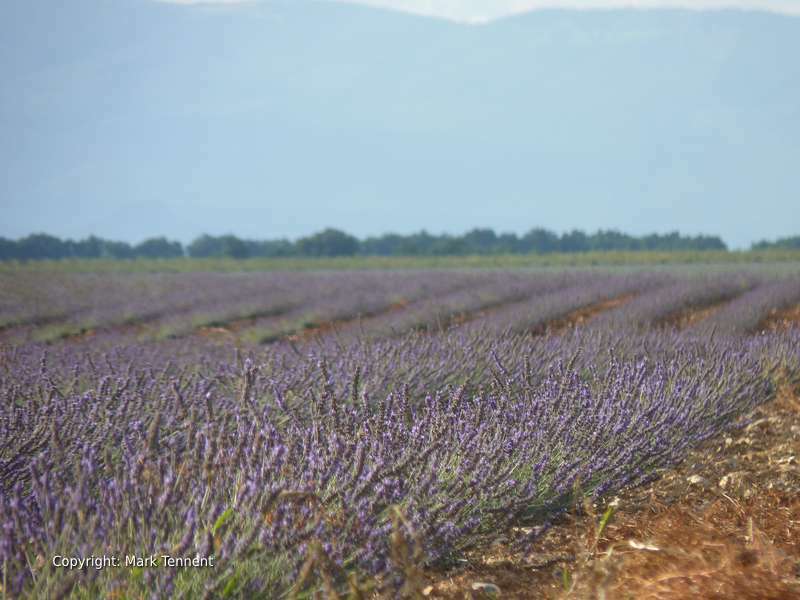 Walk through the Provencal countryside of lavender and olive trees. 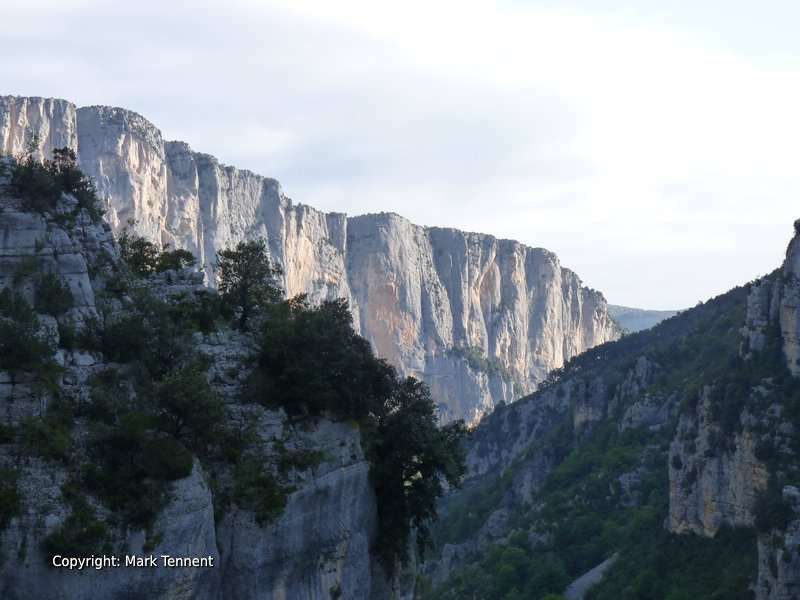 Walk the famous Sentier Blanc-Martel through the heart of the Verdon Gorge. 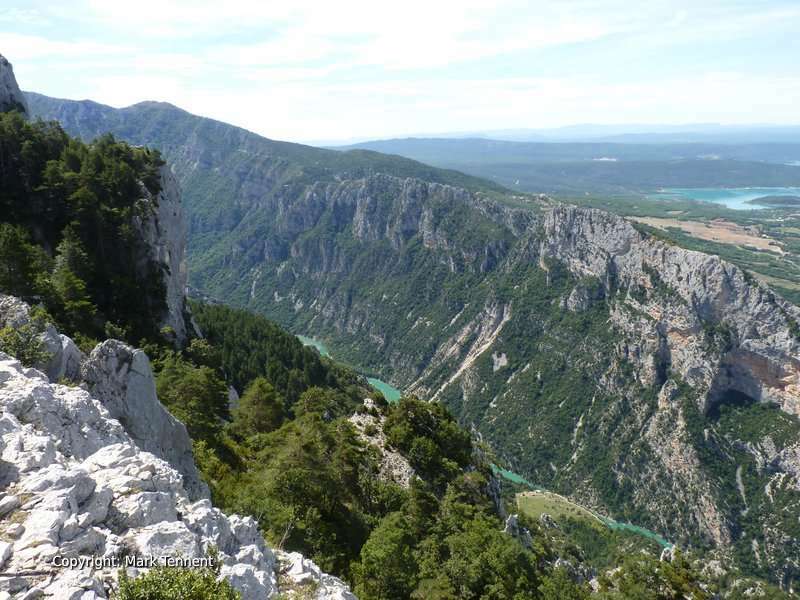 The “Grand Canyon” of the Verdon gorge is 21km long and our walk takes in the most spectacular section of the gorge. After leaving the gorge behind our hike goes over the Valensole plateau; home to lavender, almond trees and fields of wheat with the big blue skies of Provence overhead. Castellane is situated at the entry of the Verdon Gorge. The village itself dates back to Roman times and you will have a chance to discover the alley ways and streets of this historic village. Overnight in hotel. We leave Castellane along the right bank of the Verdon heading for the Gorge. We pass through the hamlet of La Colle from where we follow the old Roman road across the hillside to the Col de la Chapelle St Jean and onwards to Chasteuil. Chateuil dominates the Verdon valley and is currently the home to a group of young craftmen. The Roman route continues and remains can be seen as we go through an oak wood. After leaving the wooded area we reach a col; where a wonderful panorama unfolds. A descent now leads us to the village of Rougon. Overnight in Auberge. Gorge – Tunnel de Trescaire – Tunnel des Guegues / l’Artuby – Breche Imbert – Sentier de la Mescla – la Baume aux Boeufs – l’eboulis des Guegues – Pre d’Issane – Carrefour de l’Esteillie – Chalet de la Maline (La Palud). Today’s walk is the most challenging on the trek; taking in the Sentier Blanc-Martel. Our route descends through rocky ground and scree slopes to reach a stream which we cross by a bridge. Now we climb a ladder to the entrance of the first tunnel, the Baou ( head torch required) and is 650m long! After the first tunnel you can see how the walls of the gorge have narrowed before entering the second tunnel, the Trescaire, 115 m long. At the end of this tunnel the path continues, crossing another scree. The gorge now gets bigger and our path continues climbing and descending. After several other short tunnels a descent leads us to a sandy beach at the river side. The path now climbs in zig-zags before passing some caves carved into the cliffs. A metal ladder now takes us to the Breche Imbert. 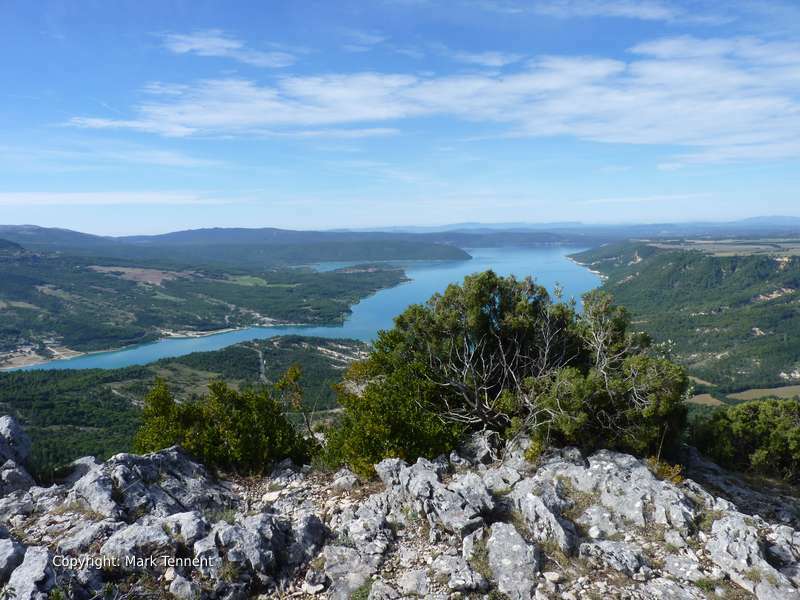 The Breche allows us to cross the rocky spur known as La Mescla with an impressive view on the Verdon. Our route now desends to a junction where our route, the GR4 continues along the foot of a rock wall to the Baume aux Boeufs. The path now zig-zags up to the Guegues scree slopes. Finally we reach the Pre d’Issane an oasis of green in the arid Verdon Gorge from which the path continues again to the l’Estellie path junction. The path now crosses the Cavaliers cliffs on an undulating path before a ladder allows us to scale the Pas d’Issane and finally to reach the Chalet de la Maline. Source de Barbin – Jas de Barbin – col de Plein Voir – col de l’Ane – Route des gorges – carrefour – Moustiers. 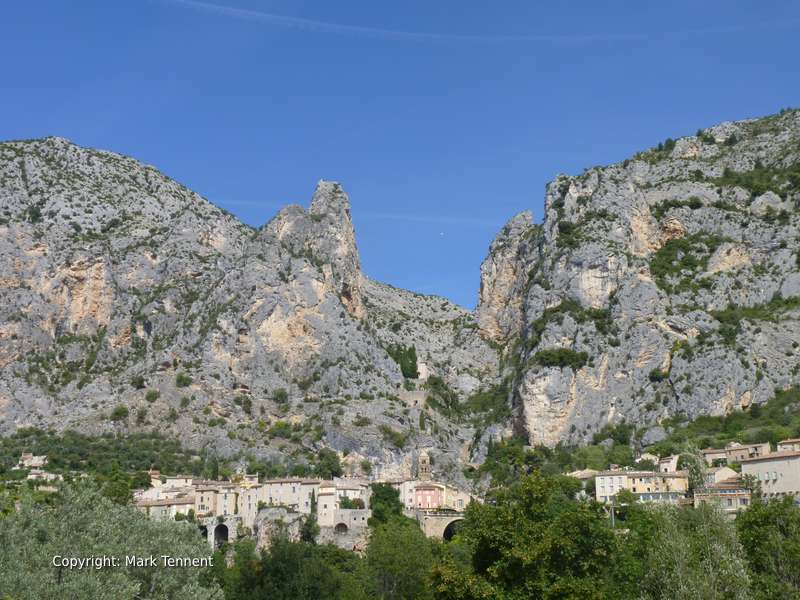 After a short transfer to Palud-sur-Verdon (to avoid a walk on the road) Leaving the village of La Palud our route climbs towards the Barbin mountain which dominates the gorges before reaching a small col and the source of the Barbin stream. Next we pass the ruins of an old shepherd’s dwellings before walking across the “Plaine de Barbin”. The next col is the col de Plein Voir a great view point on the Lac de St Croix, the mountain of the Lure and far in the distance the Luberon and Le Mont Ventoux. Another col and then we descend a path amongst the cliffs to reach Moustiers Sainte-Marie. Overnight Hotel. Plateau – Roumoules – Riez. Leaving Moustiers behind us we walk up through forests to gain the Plateau and fields of lavendar that lead us to the village of Roumoules. After passing through the village a short ascent brings us to a plateau again and the chapel of Sainte-Maxime that overlooks the valley of the Colostre. A short descent brings us to Riez. Riez has Roman remains including old columns from a temple dedicated to Apollon, and fortifications from the 13th and 14th centuries. Overnight in Hotel. Chateau de Pontfrac – route D15 – St Martin-de-Bromes – Greoux. From Riez we follow the Colonnes route and soon arrive at the Chateau de Pontfrac. A short, steep ascent brings us on to the plateau and we follow the crest of this plateau to Saint Martin-de-Bromes. Here there is an old Roman church and remains from the 13th – 19th centuries. More lavendar fields and shady forest paths bring us to the thermal town of Greoux-les-Bains. Overnight in Hotel. Les Quatre Chemins – Manosque. Greoux-les-Bains is famous for it’s sulphurous waters and thermal baths and the Chateau des Templiers from 1120 AD. Our route leaves from behind the chateau and quickly regains the plateau with views of the Durance valley. We come across wild thyme before reaching the Mas du Grand Devenson. 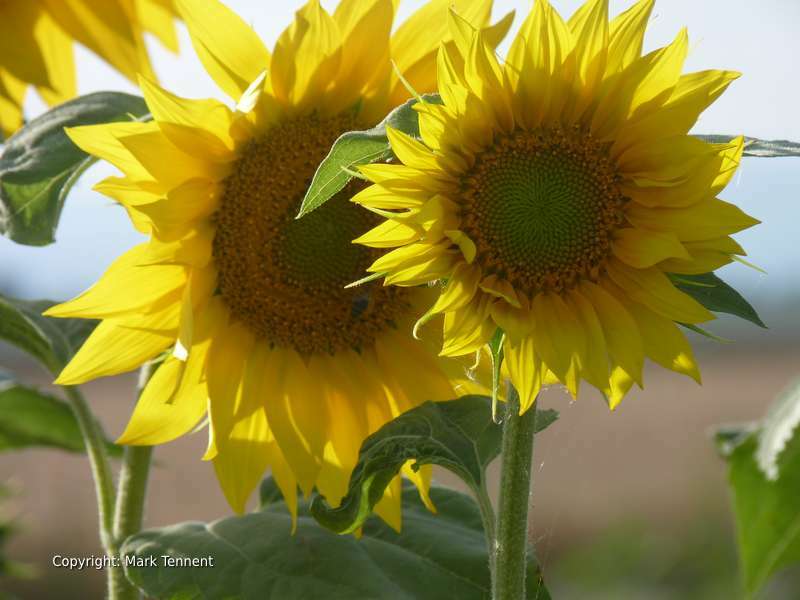 Soon we come down to the Durance valley and cross the canal de Provence and the river itself before arriving in the town itself. 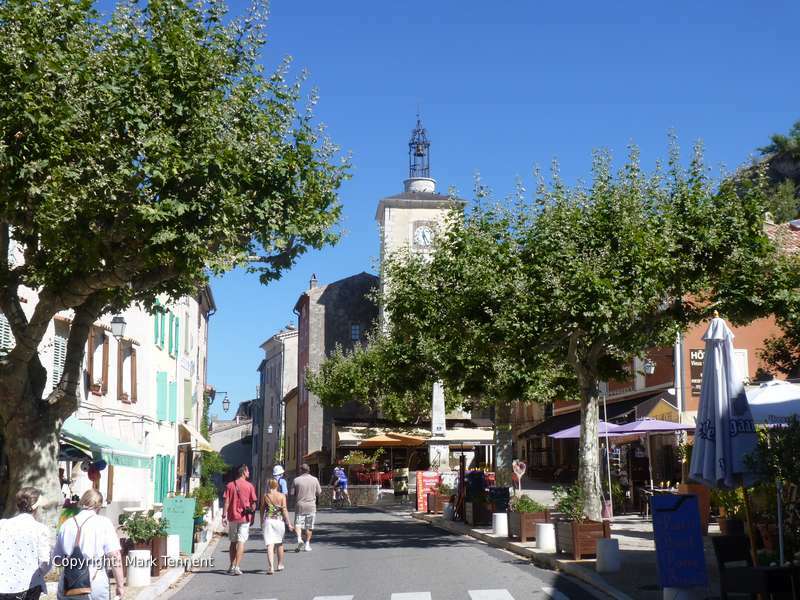 Manosque is situated at the foot of olive tree covered hillsides. Overnight in Hotel.